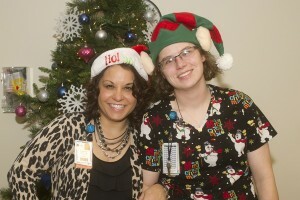 Stephanie Caruso is a licensed social worker at Akron Children's Beeghly campus in Boardman, Ohio. Parents have dreams of bringing home their babies shortly after birth, and for many reasons, that dream doesn’t come to fruition for the families we serve. It is the role of the medical team to lead our families through this difficult time while enhancing their quality of life.